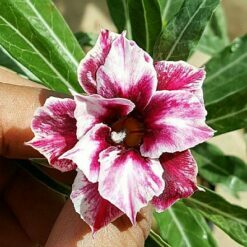 Adenium Arabicum Origin and Habitat: Adenium arabicum is native to a narrow strip near the coast on the western half of the southern Arabian peninsula (in Yemen and Saudi Arabia). 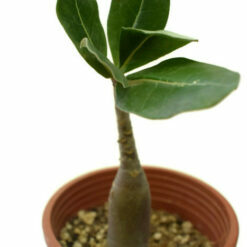 Adenium Arabicum Description: Adenium arabicum ia a remarkable succulent plant with a grotesquely swollen trunk which resembles a miniature baobab tree. 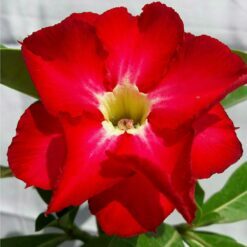 It is a local or morphological form of Adenium obesum, but commonly used to be know as a separate species and very popular with ‘fat plant’ collectors. 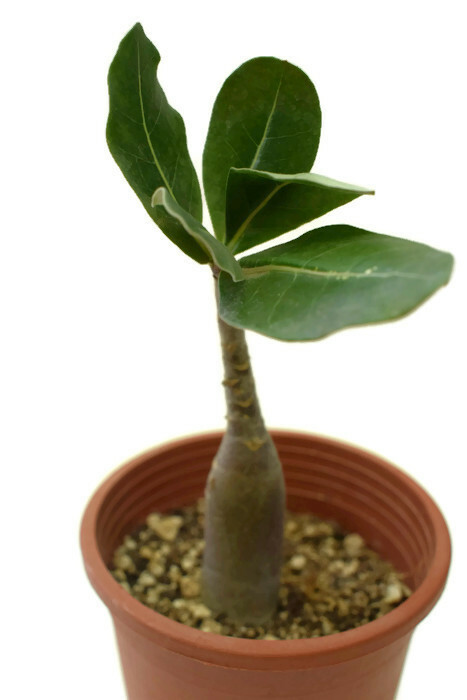 Adenium arabicum is similar in appearance to Adenium obesum, but creates a massive, more squat and fat caudex without much differentiation between trunk and branches and is the most succulent and “desert like” species. 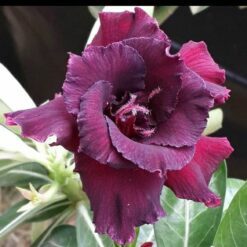 The fleshy trunks and short naked branches are also somewhat more coloured in purple to dark brown. 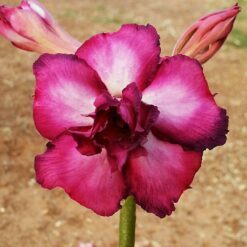 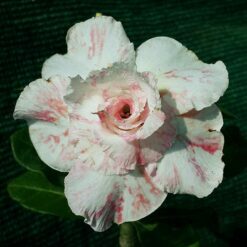 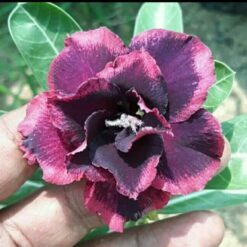 It also has larger thick fleshy leaves shiny on the upper and lower surface, unlike Adenium obesum and is an extremely drought tolerant plant. 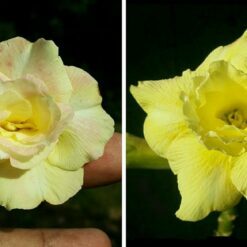 Flowers, similar in many ways to those of Frangipani, range from pink to red and sparkles when sunlight shines on them. 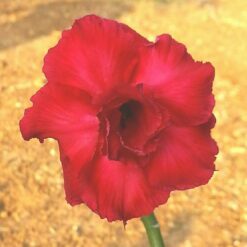 The form of the plant varies in habit and most plants in cultivation are hybrids, yet only a few cultivar names have a valid description. 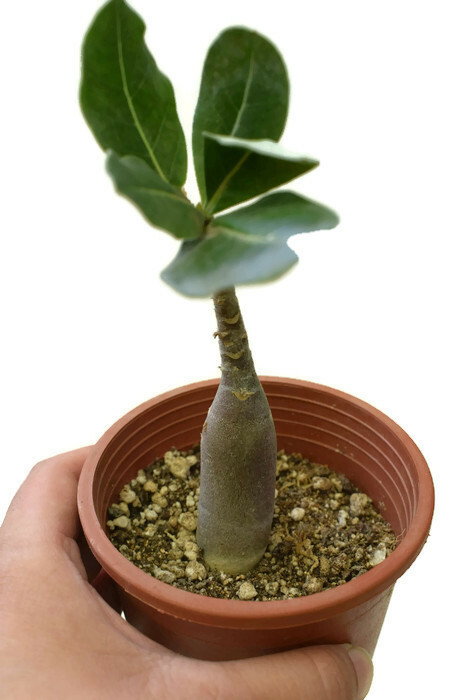 Plants grown from seed produce the most amazing shapes of caudex on just 10 years. 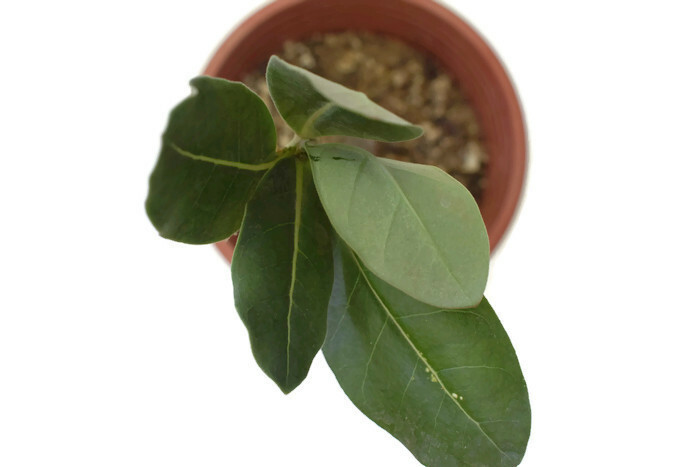 It is monoecious and self-sterile.